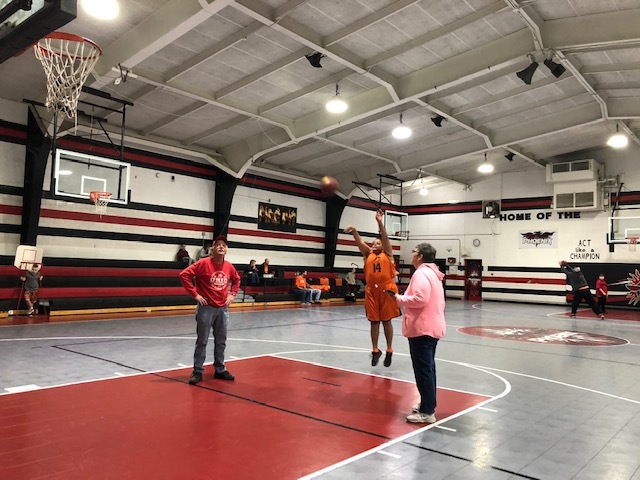 ZANESVILLE, Ohio – Just in time for March Madness, the Muskingum County Board of Developmental Disabilities held their special olympics basketball fun event. The event took place at Foxfire High School. This includes the Knights of Columbus free throw contest, the Muskingum Tigers basketball game against the Zanesville Fire Department, and a pizza party for the attendees. Participants in the free throw contest received fun awards as well. “They get prizes or awards, whoever shoots the most baskets either modified or regular will get an award. And we also get free t-shirts,” said Special Olympics Coordinator, Sandy Drenten. Last year was the first time this event was held, it had such a good turnout they put it on again this year. Drenten said this event is so important to help spread awareness. “Just awareness in the community of what we can do. These guys are pretty awesome when you watch them play, and it’s just fun to watch them shine,” she added. Special Olympics’ Basketball Skills Unit will be going to Hilliard tomorrow for the State Basketball Skills event. Fifteen athletes will be receiving medals.